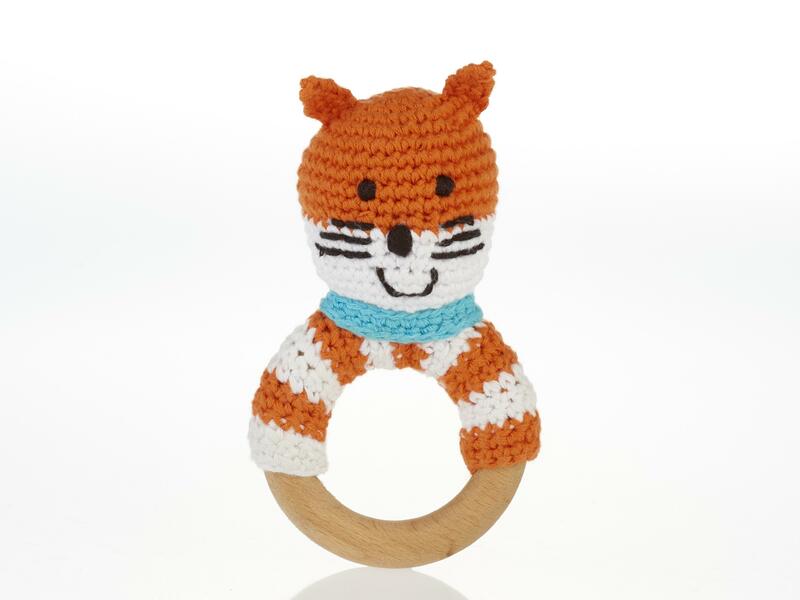 This wooden rattle teether from Pebble toys features our sweet orange/brown fox rattle. Handmade and crocheted using cotton yarn, these wooden and crochet teethers are ideal for babies. These baby rattles are stimulating and soothing for babies when their teeth are coming through. Suitable from birth, fair trade and handmade. Who made my wooden ring baby rattle? Our wooden & cotton baby rattles are made by our fair trade partner Pebble.